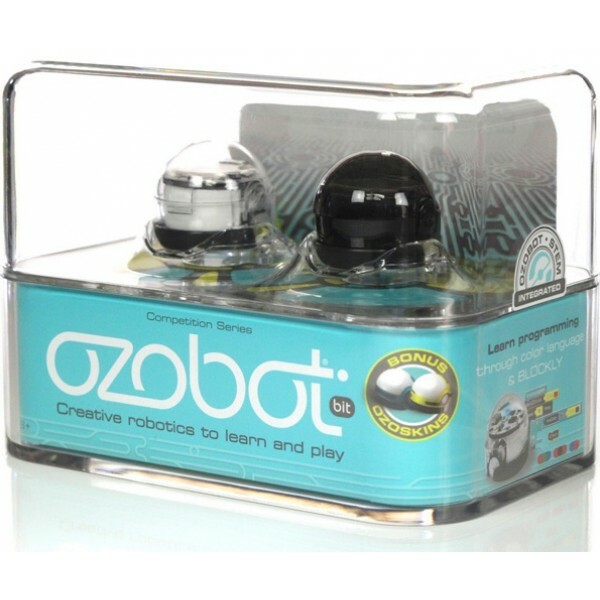 Measuring slightly over an inch in diameter and height, Ozobot is one of the world's most compact smart robots of its kind! 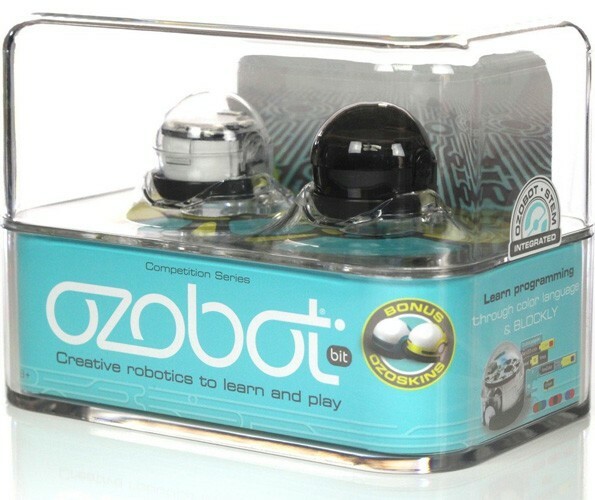 Ozobot uses twin micro-motors and a friction drivetrain design to deliver a remarkably quiet and precise movement. The sensor array on the bottom of the robot allows it to scan its environment, so it can see colors, follow lines and detect intersections. And it does it as flawlessly on shapes you draw with regular markers on a piece of paper as it does on the digital screen of your tablet. It's a fun way to get kids started with robotics and visual coding. 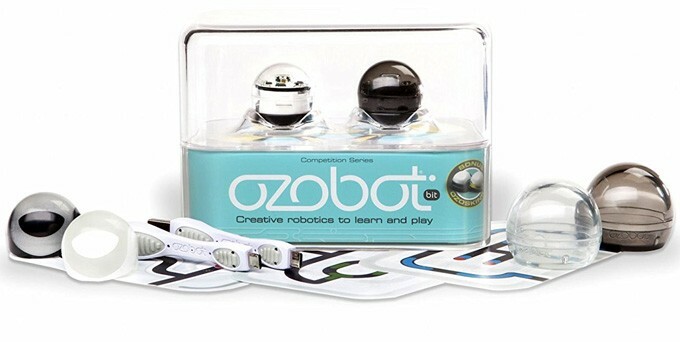 This set includes two Ozobot Bit robots, one white and one black; you can also get this single Ozobot in red or blue. For more toys and kits to explore technology, visit our Engineering / Technology Toy Collection.